All The Best Pumpkin Carving Tools – From Carving Kits To Power Tools! You took a big sharp kitchen knife and cut an opening around the stem of the pumpkin. Next, you found the largest spoon in the kitchen and scooped out all the seeds. Finally (again using that sharp and dangerous knife), you would cut triangle shaped eyes, a nose, and a mouth — often containing an odd shaped tooth. By adding a candle inside, you were good to go for another year. 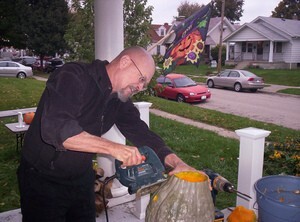 This crude method of pumpkin carving occasionally resulted in a trip to the emergency room to stitch up a wound caused by the wayward slice of a weapon better suited for culinary professionals. 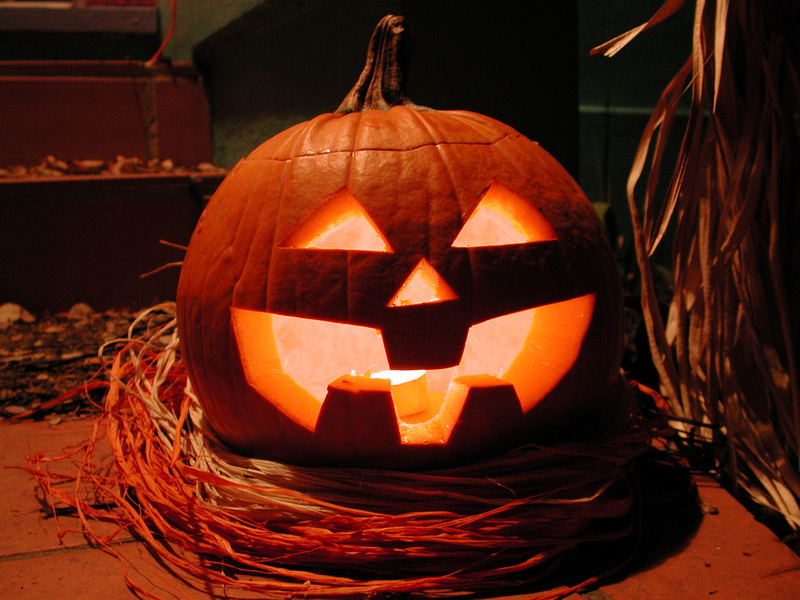 These tips regarding the dangers of pumpkin carving will help you avoid such an occurrence. Today, there are many different specialized tools to help refine the art of pumpkin carving, while making the process quicker and easier than ever before! 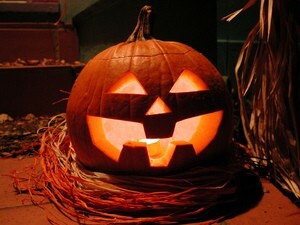 Following are the best tools that can be used for carving pumpkins. Many of these are items you probably have around the house, along with precise carving instruments that make it easy to get into the tiniest of spaces. Best Pumpkin Carving Tools… Ever! #1 – Basic Pumpkin Carving Kits – these pre-packaged sets include simple tools for use by pumpkin carvers of all ages. They may vary in the number of tiny chisels included, whether they have a “scoop” or not for cleaning out the seeds, the number of pumpkin carving templates, or color — but they’re basically all the same. Most have plastic handles and safety guards to keep fingers away from sharp edges. These kits make a good starter set for carving pumpkins year after year. #2 – Deluxe Pumpkin Carving Tools – a collection of professional quality cutting tools that are specifically designed for the task of pumpkin carving.These are larger, sharper, and do more things than the carving tools found in the basic pumpkin carving kits that you can find in every grocery store, department store, craft store, and even home improvement stores. Deluxe carving tools can only be found online or in stores where other tools are generally carried. #3 – Chisel Sets – your basic household item, the chisel, comes in lots of different shapes, sizes, and materials. (For example, wood handles vs plastic handles.) With the various profiles offered, you can make lots of unique designs and some interesting features can be added to your pumpkin masterpiece. Be sure to clean and dry your chisels promptly after each use. Otherwise, if they are put away damp or full of pumpkin goo, rust will be the result. #4 – Pumpkin Surface Carving Tools – instead of slicing open the pumpkin and carving completely through the skin, you might want to try simply carving the outer layer of the pumpkin instead. It’s the hottest new way to carve pumpkins these days, and some pretty fancy designs have resulted from this clever technique. #5 – Xacto Knife Sets – similar to chisel sets, but with smaller cutting edges, xacto knives are handy little cutters that are sharp like a razor. Be sure to use the proper supervision and care when using exacto knives around children. For highly detailed work nothing is better than an xacto knife! 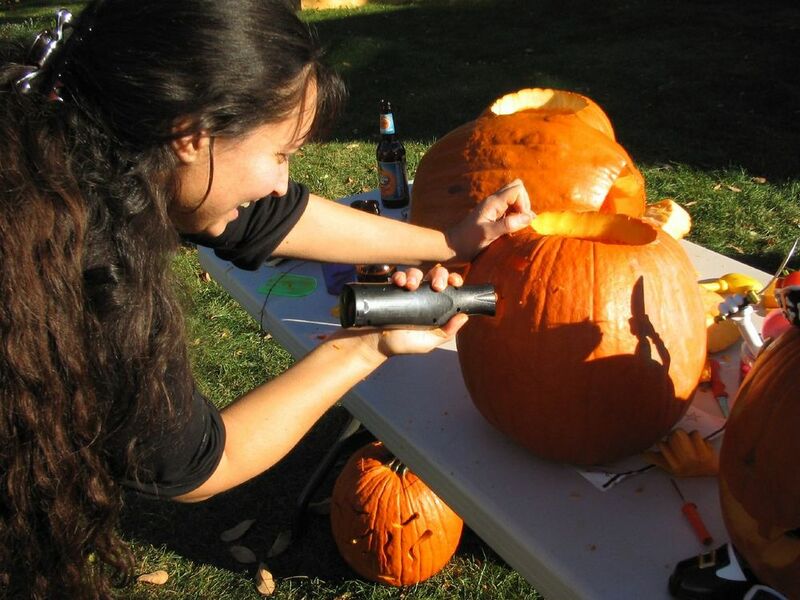 #6 – Dremel Tools & Accessories – since it runs on a rechargeable battery, a dremel makes it easy to take your pumpkin carving project outdoors and away from electrical outlets. With a wide variety of attachments and dremel accessories, you can get very intricate in your pumpkin carving designs. 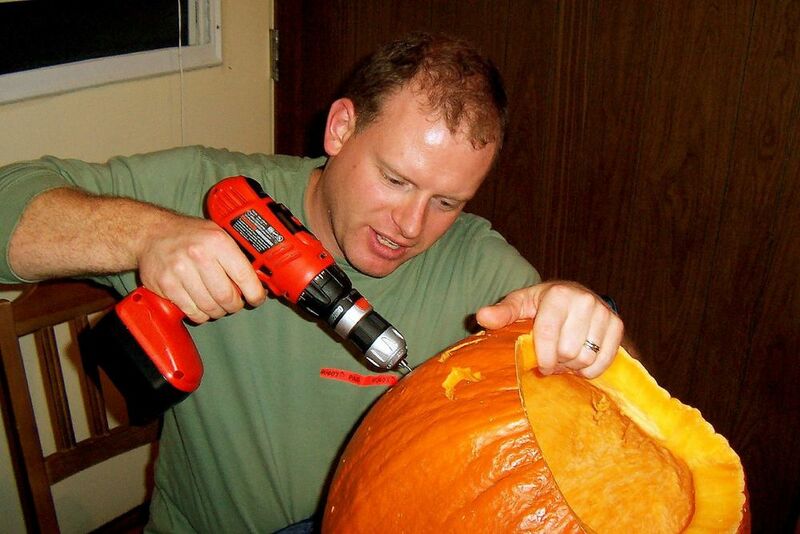 #7 – Power Tools – Tim Allen would be proud; more power has hit the world of pumpkin carving! Think of the power tools you already have around the house — from the jigsaw to the router, and everything in between. Common handheld power tools can make quick work of your world class Jack-o-Lantern. You get the idea. There are lots of creative ways to carve the perfect pumpkin! Whether you decide to use the tools you already have around the house, or try a pumpkin carving kit designed specifically for carving pumpkins, all you need are a few handy tools in order to carve the best pumpkin ever! Need Some Pumpkin Carving Ideas? The Coolest Halloween Pumpkins I’ve Ever Seen!